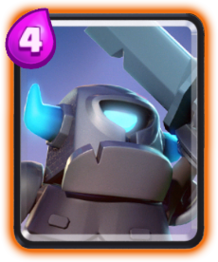 In Clash Royale, you basically need a tank in your deck if you want to win games. Therefore, you need to know the best tank killers in Clash Royale in order to take down tanks and counter big pushes. Here are the best tank killers within Clash Royale as of May 2017! Number one definitely has to be the inferno tower. The inferno tower does absolutely massive damage to tank units like the giant and golem, enabling it to shut down the big front unit. Along with taking out the tank, your inferno tower usually has enough juice left to take out the support unit behind the tank too. Talk about a positive elixir trade! If it isn’t countered, the skeleton army can swarm a unit and completely take it out before you can blink. In fact, it’s probably a better tank killer than the inferno since it costs less, but it is easily countered. You don’t want to play skarmy if your opponent has zap, log, or a splash unit in behind the tank. 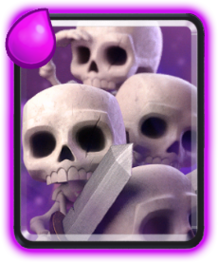 But if they don’t, you can punish their push with the skeleton army for a huge positive elixir trade. 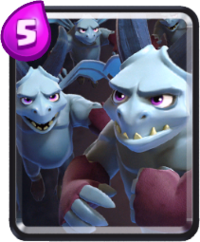 Very similar to the skeleton army is the minion horde, except the horde can take out the lava hound like it’s nobody’s business. The minion horde also can’t be taken out by a single zap like skeleton army can. 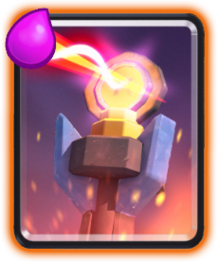 However, the minion horde does cost 2 more elixir and is a more risky negative elixir trade if your opponent decides to pop a wizard in behind their tank. If your opponent plays any swarm units with their tank, you are basically screwed, but if not the mini pekka serves as an excellent tank killer. For only 4 elixir, you get a card that can simply annihilate giants and serves pretty well against golems as well. If a hog is coming at you, the mini pekka can prevent a few swings from the hog with a few swings of its own. 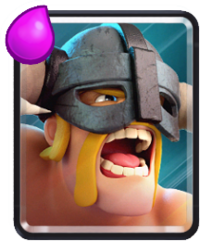 Lastly, the cancer of Clash Royale, the elite barbarians are actually pretty good on defense too. As we all probably know, the elite barbs deal insane damage, making them great for taking out giants or royal giants. However, their high cost means that they can be a negative elixir trade. Still, there is no way to quickly take them out with a spell! So that’s going to do it for our top 5 tank killers in Clash Royale article! I hope that you guys can use these cards to better counter beatdown pushes now. Thanks for reading and comment down below what you use to counter big tanks! ← 2 MILLION Views Q&A: Questions Wanted! I was actually trying to find out what I should replace with my minion hoard and all I have to choose would just be the mini P.E.K.K.A but without the minion hoard I have nothing to take out a baby dragon? Isn’t regular barbarians better than elite barbarians as it’ll have better elixir trade and higher number? Definitely! The only problem is that barbarians are MUCH easier to destroy. Often a big pushes will have a wizard or executioner in it, which will destroy normal barbarians with ease. That’s why elite barbs are the better option. Pingback: Best Tank Killers in Clash Royale (How to Counter BIG Pushes) | Clash of Clans Guide, Strategies, Tricks and More! Inferno dragon would probably be 6th, but its kind of unreliable. Usually your opponent will have backup and that will be able to kill the inferno dragon easily.